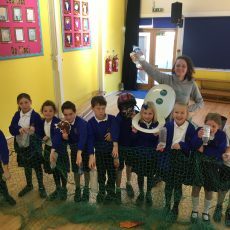 Essex Students Take Action to Keep Their Communities Litter Free! 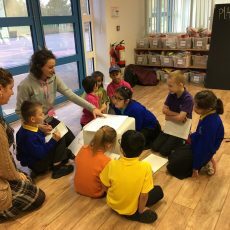 SAS and The Greggs Foundation join forces with 6 Essex primary schools to take Anti-Litter Action! This autumn we asked over 1000 Essex students if they had what it takes to keep their communities litter free, challenging them to create their very own ‘Anti-Litter Action Plans’. 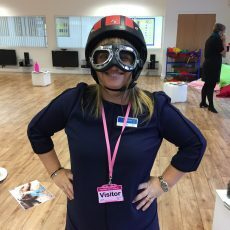 Our education team worked with schools from Southend to Barking to encourage their students to recognise the important and inspiring role that they could play in helping to keep their communities healthy and happy as they bid to win the inaugural ‘Be The Change Essex Award’ which included a 3ft trophy and a £250 grant to implement their plan. Each day 2.25 million items of litter (the majority of which is plastic) are dropped on the UK’s streets, costing over 1 BILLION pounds to clear up (1). Sadly despite the removal of over 30 million tonnes annually (1), huge volumes of this plastic pollution escapes into our rivers and oceans and washes up on our beaches (there are now an estimated 2 million items littering Essex’s 350 mile coastline (2)), where it causes untold harm. This litter crisis has no boundaries, affecting our streets and seas alike and in spite of the tireless efforts of bin men, volunteer litter pickers and so many others, is still on the increase. Inspire – TRASH MOB! 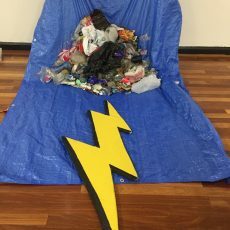 Students were tasked with collecting as much litter as they could find in 3 minutes from their school grounds, helping them realise that they can make a difference and that however small it may be it’s always worth it! Award Presentation – The RA Butler team were presented with their 3ft trophy and a giant cheque for £250 by Tracy Lynch of project sponsors the Greggs Foundation in front of the rest of their school during the last assembly of 2016. MERRY CHRISTMAS! Jo from Greggs getting stuck in! 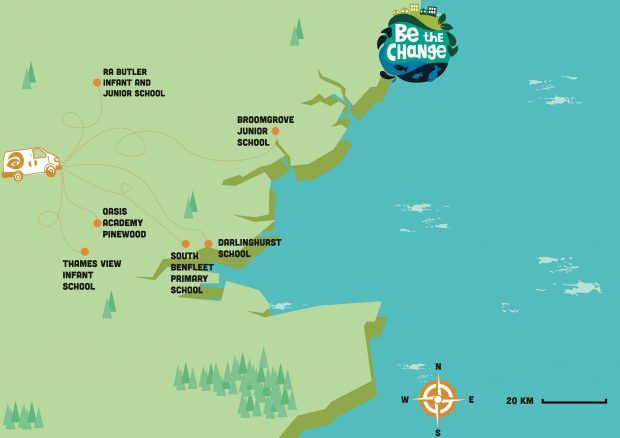 Whilst the students of RA Butler Academy richly deserve their congratulations we want to commend each and every student they worked with this autumn as part of Be The Change Essex. 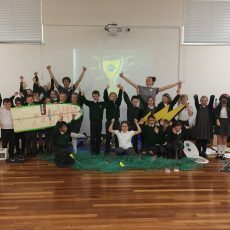 The creativity, effort and care shown by these inspiring youngsters is a perfect example of positive community action and provides much needed hope in the face of the marine litter crisis facing our streets and seas. If you’re school would like to get involved with our education programme please email us at [email protected] or call 01872 553001. 1. Keep Britain Tidy, (2016). Clean for The Queen for Her Majesty’s 90th birthday. [online] Available at: http://www.keepbritaintidy.org/clean-for-the-queen-and-celebrate-her-majesty-s-90th-birthday/2549/2/1/999/ [Accessed 16 Feb. 2016]. The 5p carrier bag charge has provided us with a new source of funds which we are using to help reduce the impact we have on the world around us and we are delighted to be working in partnership with Surfers Against Sewage to tackle the unacceptable social problem of litter. 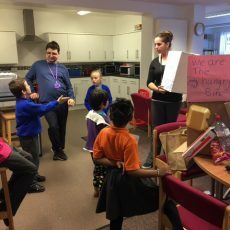 It was great to work with so many energetic children on `Be the Change’ - they were so eager to make a change to their local communities. The creativity from these youngsters was unbelievable and all schools came up with some great plans. RA Butler are worthy winners and we look forward to seeing their “house bins” in action.